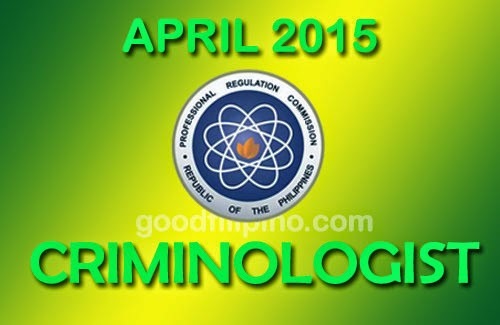 All takers can now used this page to view the passers list of the April 2015 Criminologist Board Examination. PRC and BoC released the exam results today. Please scroll down this page for more details. A total of 4,337 out of 14,696 passed the Criminologist Licensure Examination given by the Board of Criminology and PRC. Comments or suggestions about "April 2015 (Alphabetical) Criminologist Results: I – J – K – L" is important to us, you may share it by using the comment box below.